← What’s the Role of Blended Learning in Workplace Training? What does lab safety entail? Lab environments are varied, with each providing its own share of unique safety worries. Keeping staff members safe is an essential part of running a successful laboratory – one that demands focus from leaders. Lab management teams will have to assess the threats and dangers associated with their environment, then create a comprehensive plan to negate the risks. This will likely include rules, regulations and training courses to keep everyone on the same page and aware of best practices. Keeping a lab free of accidents and minimizing risk factors means mastering multiple facets of safety. Personal protective equipment must be on hand, and spaces have to be set up to counteract environmental dangers. Furthermore, lab leadership must invest in protective assets such as eye-washing stations. Even closets and cabinets are part of the safety picture – the way materials are kept and stored may determine whether those items pose a risk. None of the above precautions are fully effective unless the right training program is in place. Employees must understand how to use the equipment they interact with every day to ensure they aren’t taking undue risks. PPE isn’t able to keep wearers safe unless they know how to use it properly. From storage practices to the operation of complicated machinery, clean-up to everyday materials handling, every part of the lab routine improves with training, keeping people safer at work. The Occupational Safety and Health Administration (OSHA) has a set of recommendations and standards, especially for laboratories. Those include several standards targeting the kinds of risks and hazards potentially present in laboratories. For example, the Occupational Exposure to Hazardous Chemicals in Laboratories standard demands lab leadership have a written plan for chemical hygiene, as well as an officer who will ensure the plan is implemented safely and correctly. The Hazard Communication standard is based around proper labeling of potentially harmful chemicals. This standard, which has received updates for relevance since its 1983 introduction, ensures there are safety data sheets delineating the correct use – and potential risks – of the substances present in an environment. It also makes sure there are labels on chemical containers. The Bloodborne Pathogens standard ensures labs dealing with viruses transmittable by blood have exposure plans in place, as well as PPE policies. There are more general PPE standards targeting labs of all kinds, as well as targeted policies protecting workers’ eyes, faces respiratory systems and hands. Moreover, standards such as Lockout/Tagout requirements are relevant in labs that deal with potentially harmful machinery. This may mean electrically powered machines or any equipment that moves with sufficient force to hurt someone. Keeping all of these standards in mind and applying them where relevant is a part of lab safety that leaders can’t afford to overlook. What makes a safe lab? Fortunately for leaders in the science and research communities, there are more options than ever when it comes to preparing employees for potential risk. Training has gone digital, with compelling video-based lessons distributed through online learning platforms. These courses cover a wide variety of safety topics, getting staff members ready for anything they may encounter. 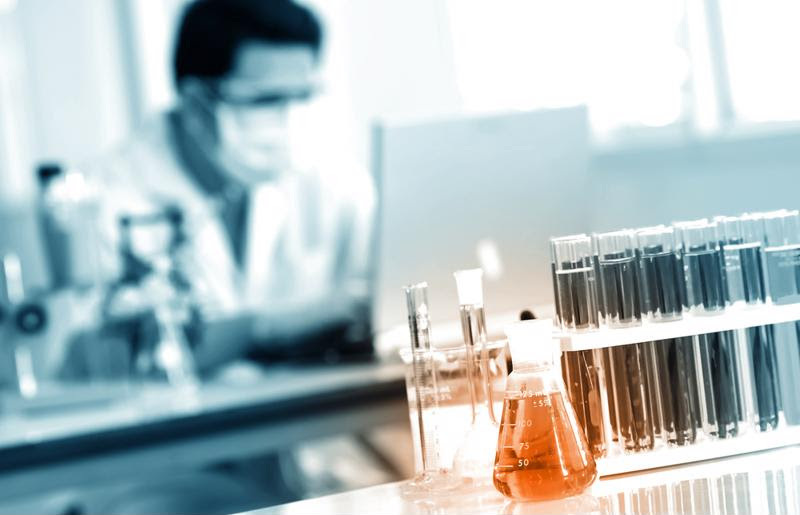 GHS Safety Datasheets in Laboratories: The Hazard Communication Standard has received changes in recent years to bring it in line with the Globally Harmonized System of Classification and Labeling of Chemicals. This up-to-date training module is based around teaching employees the ins and outs of this labeling and classification system. The OSHA Formaldehyde Standard: This is a course directly aimed at the safe handling and use of formaldehyde, taking its lessons directly from the relatively recent OSHA standard specifically dealing with the chemical. The course has received an update to bring it in line with GHS chemical labeling standards and prepares employees to work with the chemical consistently – and clean it up safely when there’s a spill. Safety Showers and Eye Washes in the Laboratory: While it’s important for workers to know the everyday processes that make up their workdays, it’s also essential that they become adept at responding to problems. Training in the proper use of safety showers and eye wash stations will ensure that, when something goes wrong, lab technicians know how to calmly and effectively use the safety equipment in their environments. Laboratory Ergonomics: It’s not always large, noticeable threats that harm people in laboratories. Sometimes, an everyday issue such as a repetitive stress injury can sideline an employee. This course is designed to help workers stay comfortable and healthy in labs. Training is one of the most important elements of creating a functional and safe lab environment. Being prepared for worst-case scenarios and becoming more effective at everyday operations are both viable approaches to improving lab work, and each depends on better employee education. Thankfully, there are many digital courses ready to fill this need. This entry was posted in OSHA, Workplace Health and Safety and tagged lab safety, lab safety training, laboratory safety, osha lab safety, safety. Bookmark the permalink.